[CIVIL WAR]. 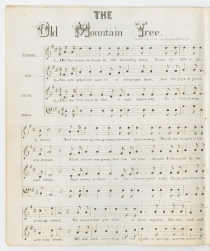 Manuscript Pen and Ink Folk Art Song Book, ca. 1864. 24 pp., 6⅝ x 8 in. Year of Jubilee or Kingdom has Come! Sambo pretty sure he don’t much care to. De year ob jubilee am come. Dat was a yarn dat a little heat me. Grant and Wallace, All three in a duel. I axed him den, why he was running away? Sam-bo, says he, dat question aint fair play. And roam de free Norf without nary pass. De Southern Gentry seemed quite unsteady. Kingdom has come, boys, we’ve good times, berry. 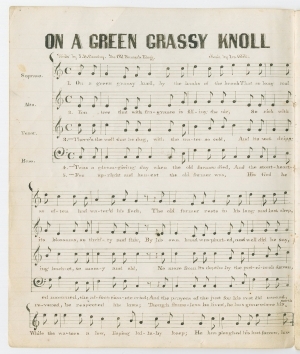 Music played a prominent role in the American Civil War. On the battlefield and in the camps, it boosted morale and released tensions. On the homefront, it helped individuals and families express political sentiments, grief, and longing. 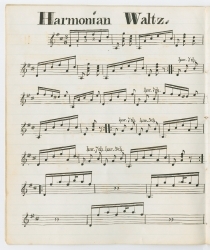 Music entertained and often carried political, religious, and social messages. 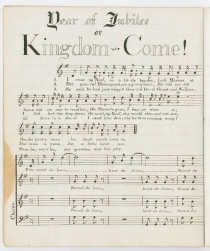 “The Year of Jubilee, or Kingdom has Come!” was written by “Sambo” and first published in 1862 by H. M. Higgins in Chicago. 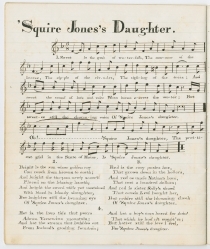 “Squire Jones’s Daughter” tells of the virtues of “The prettiest girl in the State of Maine” and was copyrighted by New York publisher Henry De Marsan in 1860. 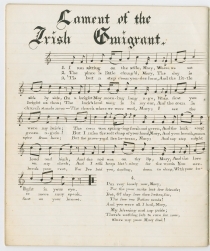 “Lament of the Irish Emigrant” is a ballad by Helen Blackwood (1807-1867), with music by William R. Dempster (1808-1871), first published in Boston around 1840. It tells the story of an Irish emigrant who has buried his wife Mary and their child. Blackwood, Baronness Dufferin and Claneboye, was a British songwriter, composer, poet, and author. 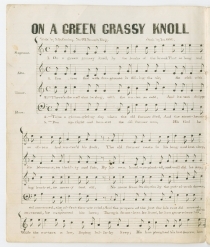 Dempster, a Scottish singer, was very popular in the United States. 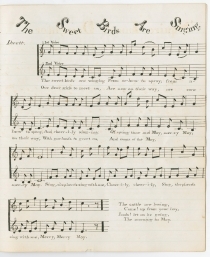 “Soon and For Ever” is a sentimental hymn by J. B. Monsell about the Christian’s union with Christ in Heaven. Rev. James Samuel Bewley Monsell (1811-1875) was an Irish Anglican clergyman and poet. He wrote the poem in 1853 or earlier. Very minor soiling, else near fine.